-Inflatable safety ramp on moonwalk for easy entrance and exit. -Moonwalk has jump area with basketball goal. -Large netted vent windows for air flow. -Cement set ups are allowed. We cannot set up on rocks or gravel or uneven cement. -The inflatable requires a separate outlet. Let your child know how special they are on their special day with The Happy Birthday Bounce House. 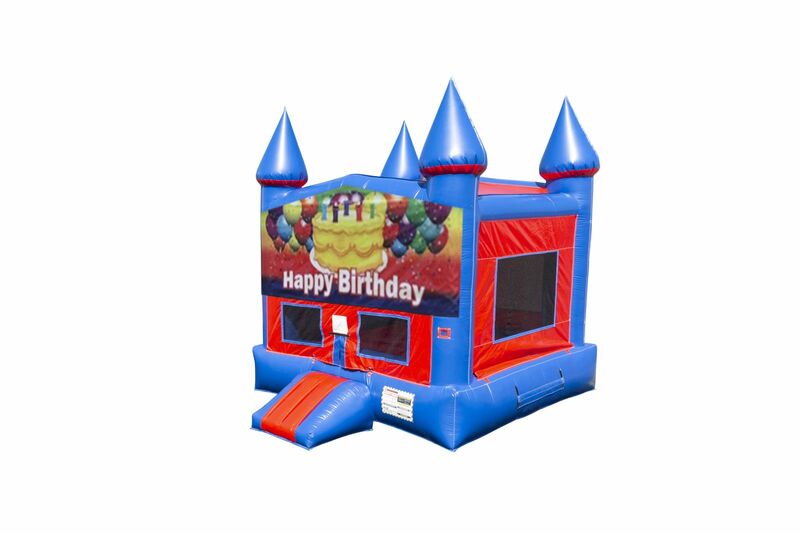 This bounce house with 160 square feet of bouncing space and basketball goal (2 balls Included) is perfect for any birthday party or celebration. 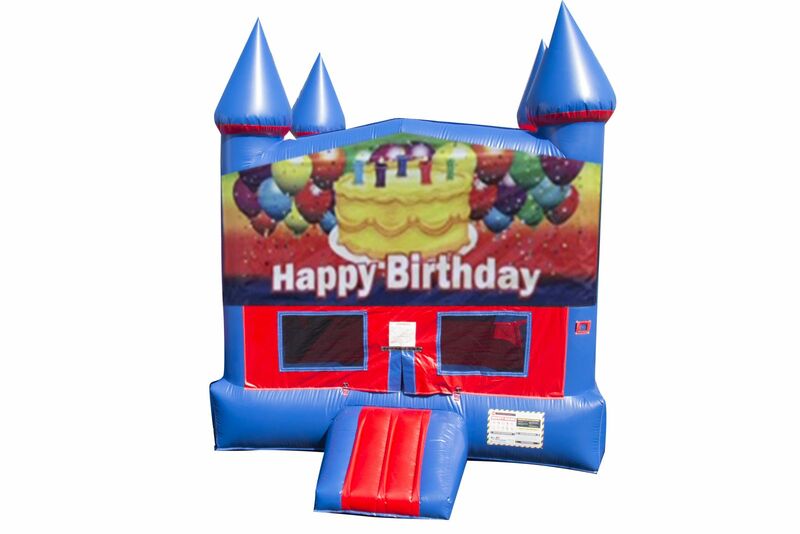 The Happy Birthday Jumper is available for rent in Lafayette Parish and Iberia Parish.